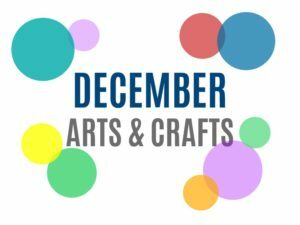 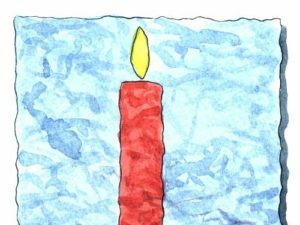 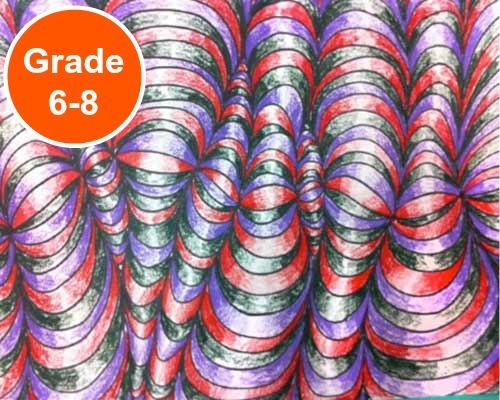 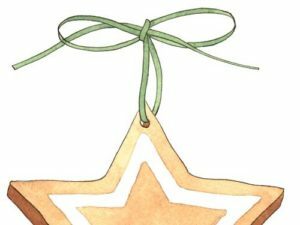 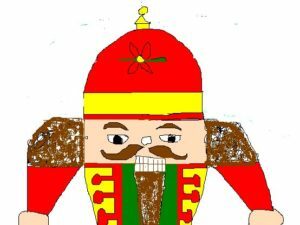 Here’s a list of seasonal arts, crafts, activities, ideas and more for the month of December. 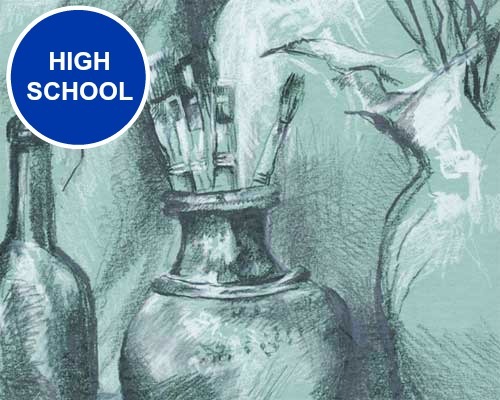 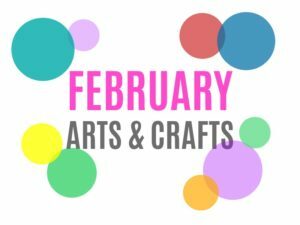 Here’s a list of seasonal arts, crafts, activities, ideas and more for the month of February. 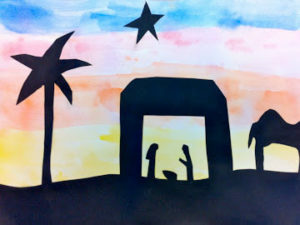 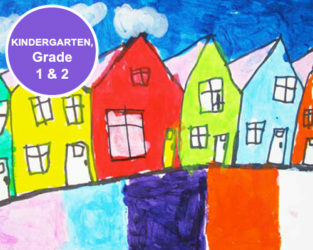 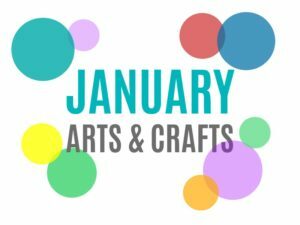 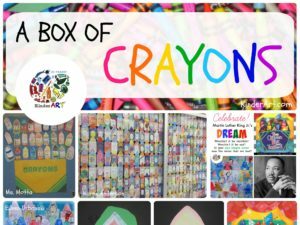 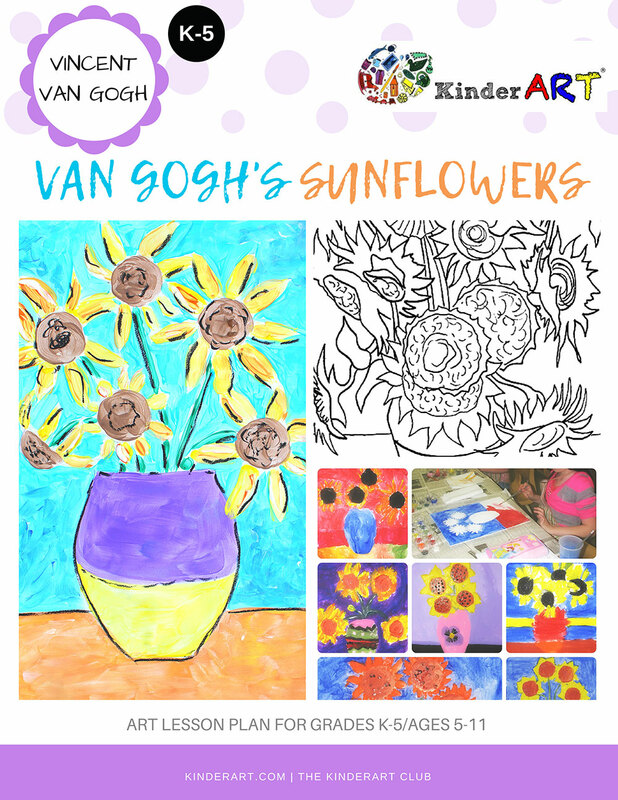 Here is a list of seasonal arts, crafts, activities, ideas and more for the month of January. 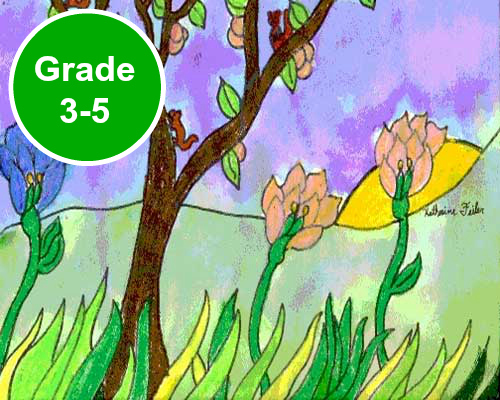 Use to to help plan your lessons for the month. 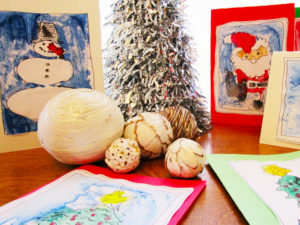 Kids can make and sculpt cinnamon dough into holiday themed shapes. 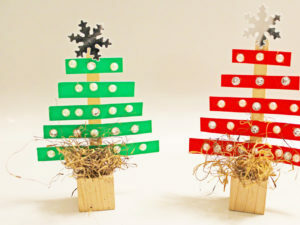 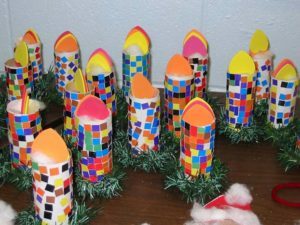 These cute Christmas trees can be made using recycled egg cartons. 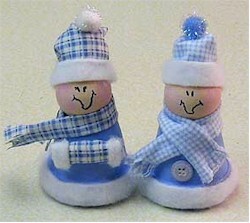 This darling snowman and snowwoman make the perfect couple. 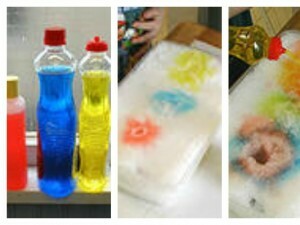 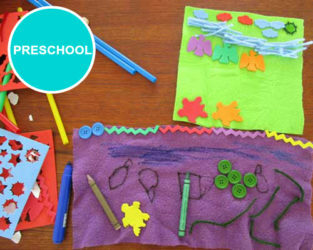 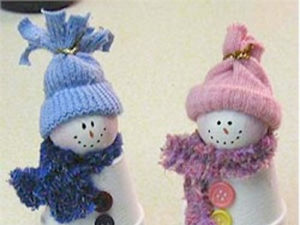 All bundled up for a cold winter’s day, and so easy, younger kids can make them too! 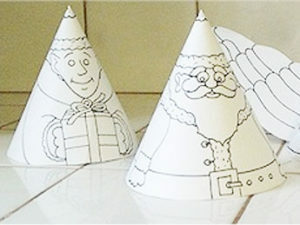 Make cute winter friends using upside down clay pots. 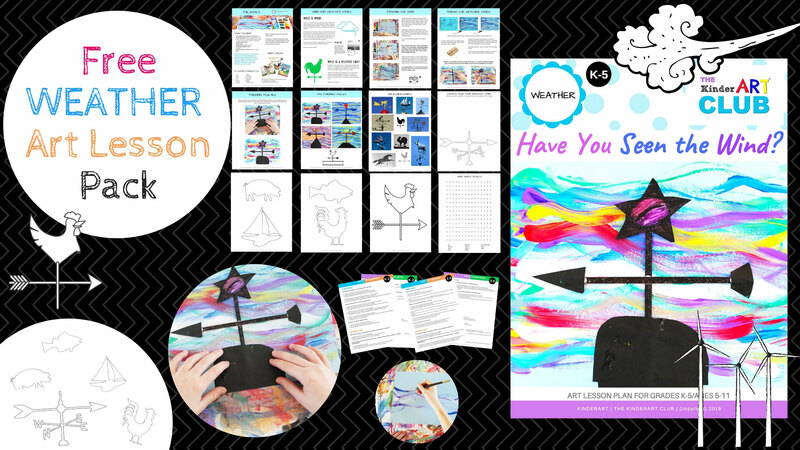 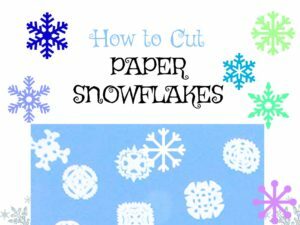 Create you own winter wonderland with colorful buckets of snow. 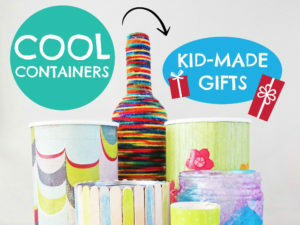 Kids can recycle as they turn trash into treasure for teachers, grandparents and friends. 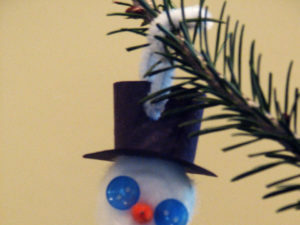 Kids can make cute snowman ornament using cotton balls and buttons. 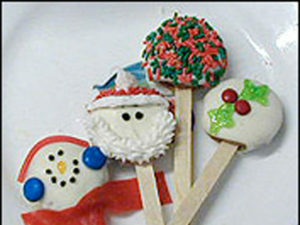 The kids will smile and giggle while making these treats, and will have something fun to give to family and friends! 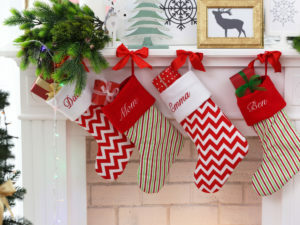 Try different decorations for other times of the year too! 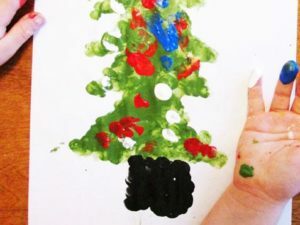 These Christmas fingerprint / finger painting pictures will become instant keepsakes for you and your children. 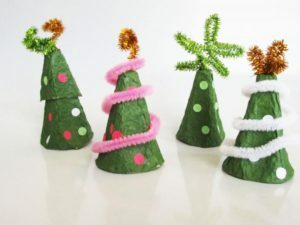 Kids and adults can make these cute holiday trees using cut paper and craft sticks. 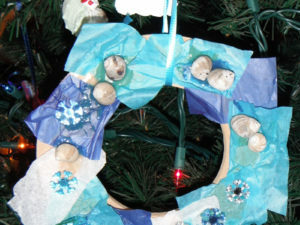 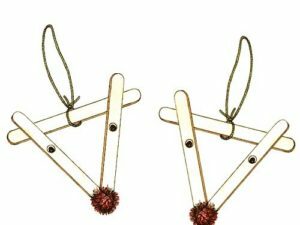 Students can make seaside themed ocean ornaments for the Christmas tree. 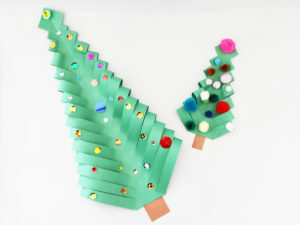 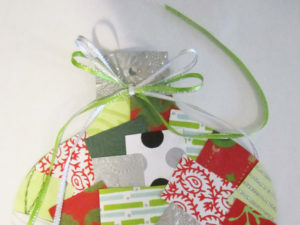 Students can create an ornament collage using scraps of colorful paper.